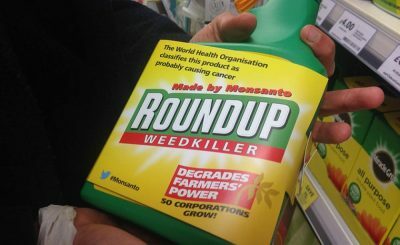 More than 400 lawsuits are pending against Monsanto Co. in U.S. District Court in San Francisco, filed by people alleging that exposure to Roundup herbicide caused them or their loved ones to develop non-Hodgkin lymphoma, and that Monsanto covered up the risks. The cases have been combined for handling as multidistrict litigation (MDL) under Judge Vince Chhabria. The lead case is 3:16-md-02741-VC. On March 13th, 2017, U.S. District Judge Vince Chhabria ruled — over Monsanto’s objections — that certain documents obtained by plaintiffs through discovery could be unsealed. The documents listed below include discovery materials, transcripts of court proceedings, depositions and other case-related items. Judge Chhabria ordered an additional hearing for two plaintiffs’ experts, Dr. Chris Portier and Dr. Beate Ritz. Additional Daubert hearing testimony from Dr. Portier took place 4/6/2018, while additional testimony from Dr. Ritz took place 4/4/2018. Transcripts are available below. Parties, attorneys and journalists may listen to case management conferences and hearings by telephone—but may not participate—using the CourtCall remote court appearance service. Advance registration is required. This can be done online (journalists select “other” from the drop-down menu) or by calling CourtCall at (866) 582-6878 no later than noon on the day before the case management conference.